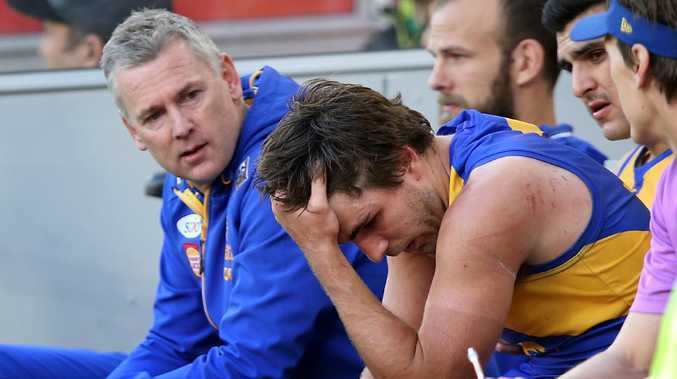 Andrew Gaff dejected on the bench after punching Andrew Brayshaw. Photo: Paul Kane/Getty Images. WEST Coast star midfielder Andrew Gaff believes a red card system in the AFL "should definitely happen". 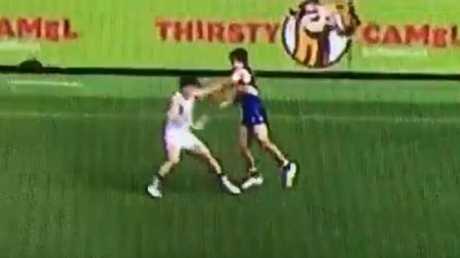 The Eagles gun onballer was suspended for eight matches by the AFL Tribunal, after a sickening punch left Fremantle's Andrew Brayshaw with facial injuries. The 26-year-old believed that if the AFL had red cards in the game, he would've been sent off after the incident in the Round 20 western derby. "I think the red-card system is the right thing to do," Gaff told The Age. "I have no doubt I would have and should have got a red card that day and therefore I wouldn't have been out there. "I think it definitely should happen. But it needs to be obvious, where you only see two to three a year." The recently re-signed midfielder suggested he would find it hard to see the AFL bring in a red card system, despite AFL football boss Steve Hocking explaining he was considering it as part of a review of the rules for 2019. 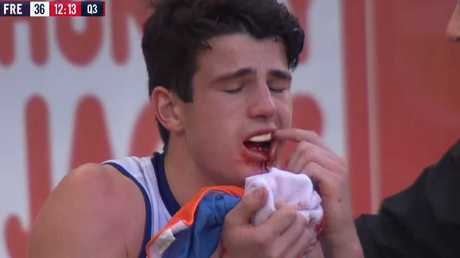 Fremantle Docker Andrew Brayshaw points to his teeth after being hit by Andrew Gaff in Round 20. "I just think it might be too big a change. I think footy purists wouldn't have it,'' Gaff said. Gaff also explained how he had "mentally stopped playing" after his hit on the 18-year-old Docker, but didn't expect to miss the remainder of the season at that point in time. Still showing Andrew Gaff (right) throwing a punch on Brayshaw. "I knew I wouldn't be playing for a few weeks … I thought I'd be playing again this year," he said.